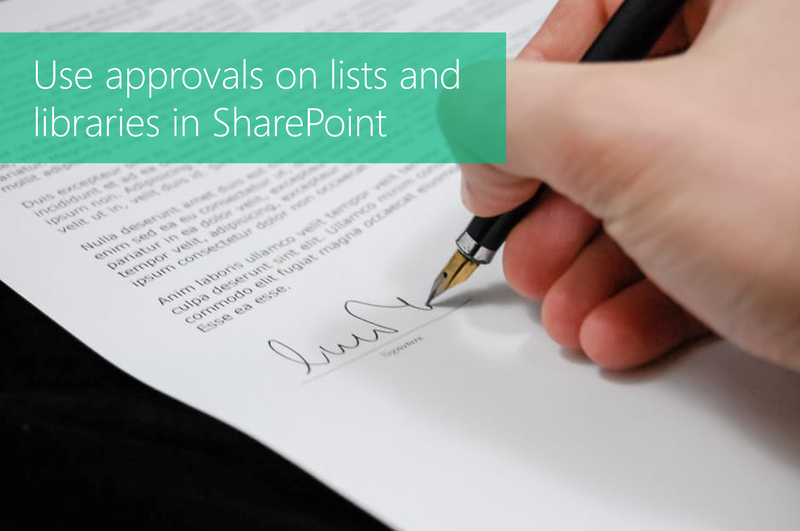 #Office365Challenge As soon as we start talking approvals on content, most people grab the opportunity to create complex approval workflows. I always say that fancy emails and workflows don’t make people do things, if it’s not part of their responsibilities already. 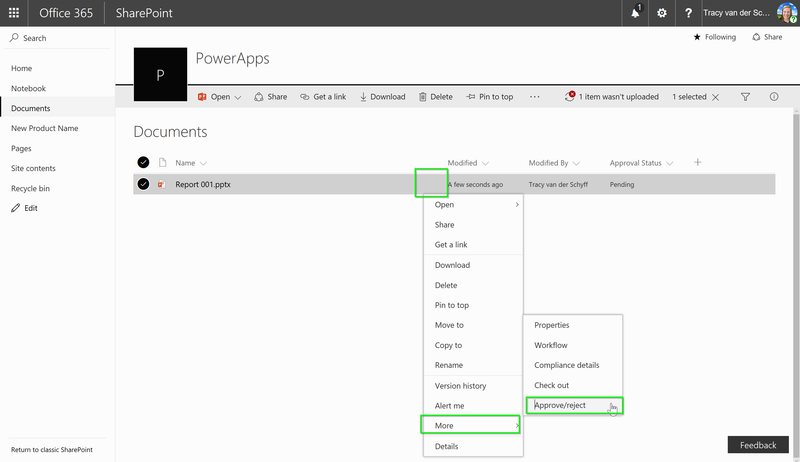 Why not start with very simple OTB SharePoint approvals + alerts and change the culture in small iterative steps leading up to more complex workflows. 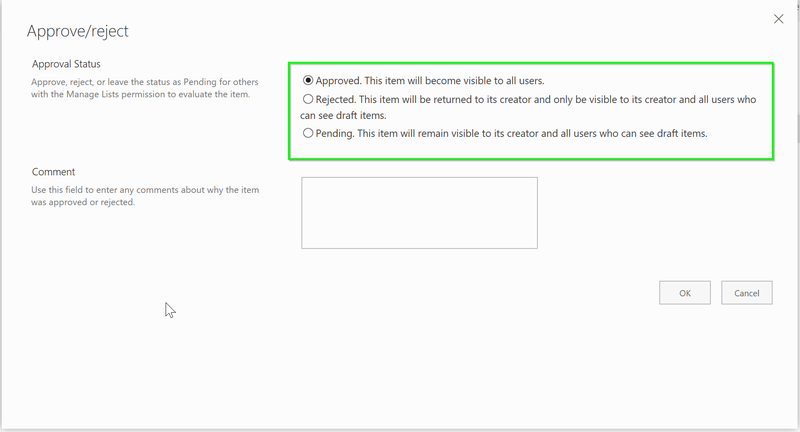 Note: I would create a view only showing Pending items, then setup an alert for your Approval group. 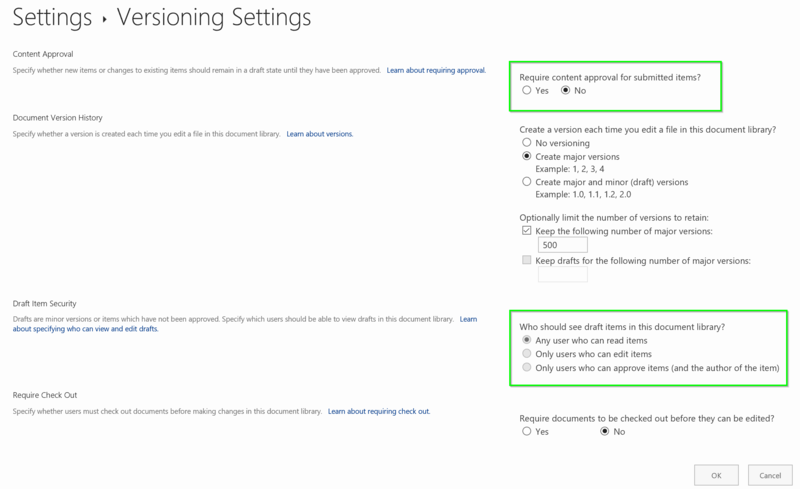 They will automatically get an email whenever a document status changes to Pending.